/ Modified jul 25, 2018 10:39 a.m.
Mosaic of the Valles Marineris hemisphere of Mars, by the Viking Orbiter. The Valles Marineris canyon system is visible. 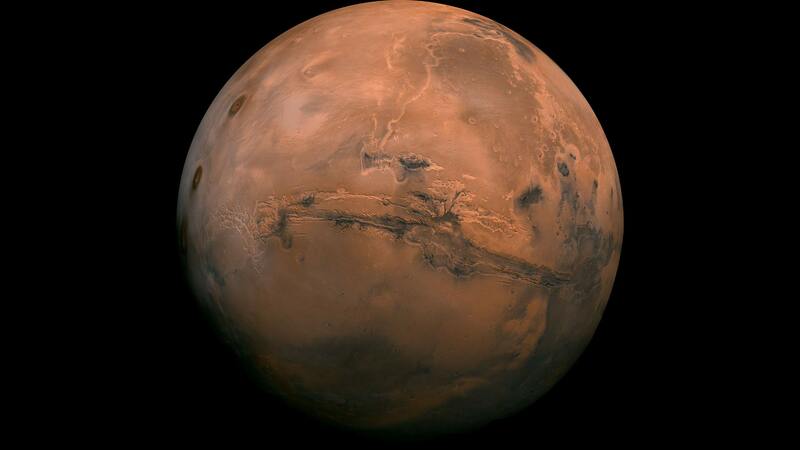 Scientists have long known that Mars has water in the form of ice and certain minerals. New data might settle the 30-year debate over whether the red planet holds liquid water, too. Radar data by the European Space Agency’s Mars Express spacecraft has revealed a 12-mile-wide lake of liquid water one mile below Mars’s south polar ice. Such radar reflects brightly where ice and water meet, a fact scientists have used to detect subglacial lakes on Earth. Here and on Mars, such lakes might stay liquid because dissolved salts, and pressure from above, lower water’s freezing point. 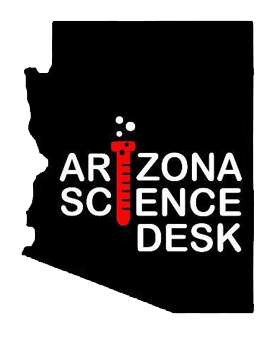 Arizona State University’s Jim Bell, who works on NASA’s Mars missions, says it’s the strongest evidence for liquid water so far. “It’s a really provocative result, if true, and so I think it really begs for additional data,” Bell said. The findings appear in the journal Science.